This shows my love of the 70’s (that being my era ‘n all!). This was just playing…didn’t know quite what I was doing…but it was a start. I think this is now hanging up in my sisters hall! 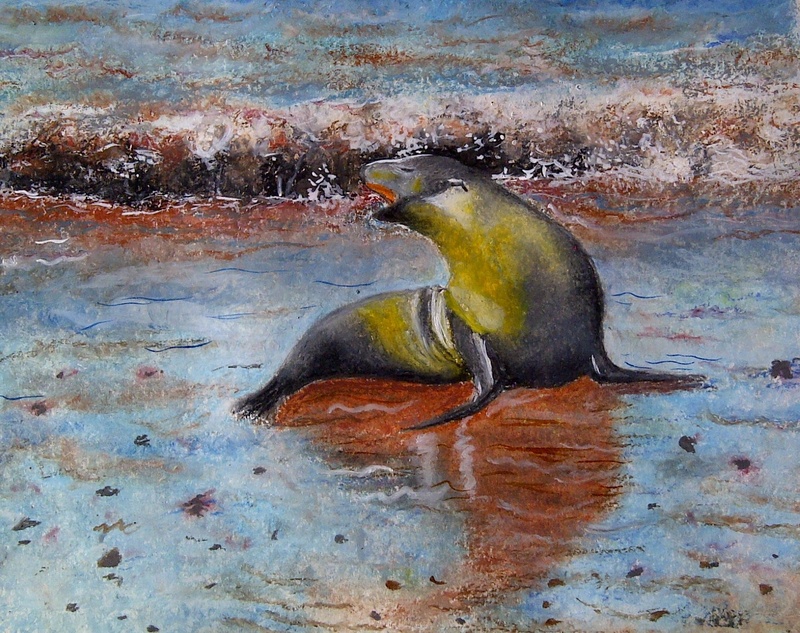 This was done in oil pastels (my first time using them – I love them), and it was painted from a photo my son took while on The Galapagos Islands. I was, and still am, quite pleased with it, as it was my first time with this medium. 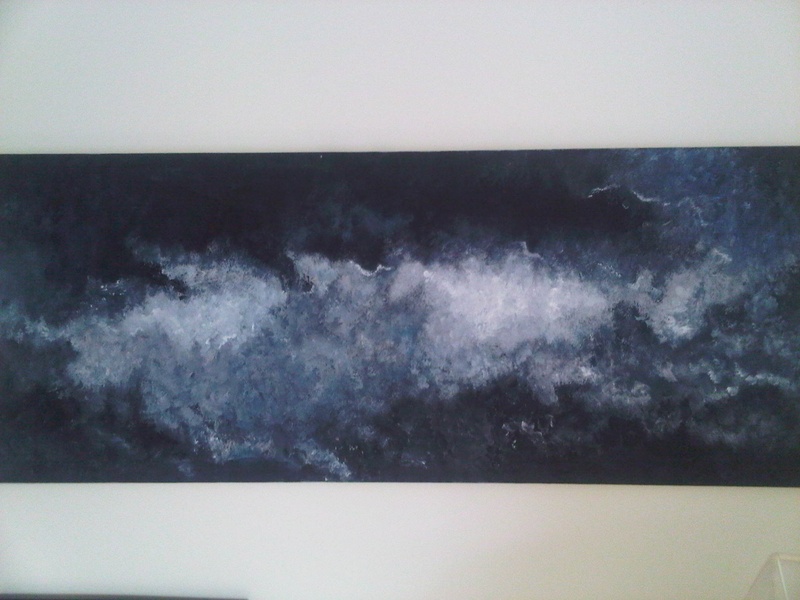 I painted this for a small exhibition with the theme ‘ Light and Dark’. The dark sky being the dark, and the balloons being the light (as in their weightlessness). Acrylics…and obviously, no one bought it! Gosh…this was done 33 years ago! It’s of my daughter, and painted from a photo my late dad took. I painted it in oils. 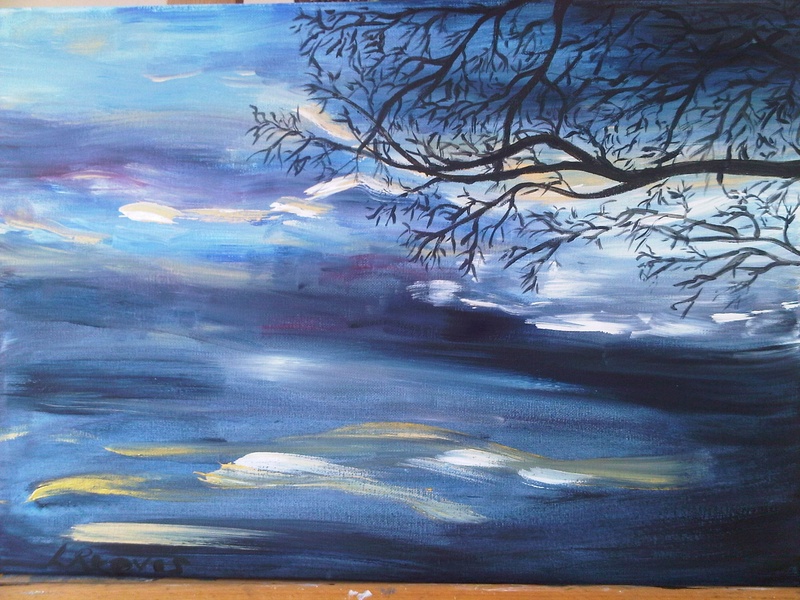 That was the medium I used back then ( when I got a minute to even paint with 2 small children!). Mr R gave me a set of oils for a Christmas present…a very lovely, thoughtful present; but I was rather amused when he announced it would give me something to do. 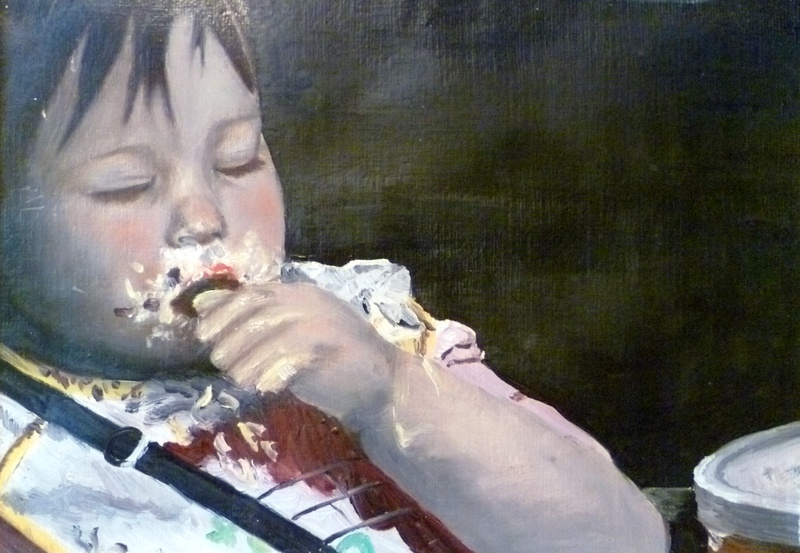 Clearly, I must have been coping extremely well, looking after my young family, lwith seemingly time to spare to paint! I wasn’t actually aware of this myself at the time I might add! Oh dear! Seems like yet another moody one! I must point out these moody pics were not all painted at the same time! I.e. I was not going through some moody phase! This is in acrylic and is a very natural style for me. Mmmmm….another moody one! This is me playing around, really trying too hard to find a style. Acrylic on canvas. 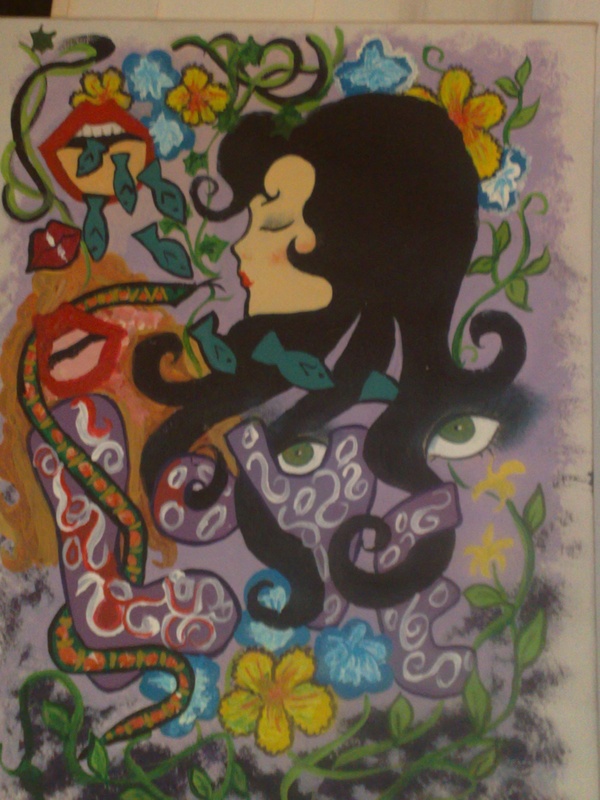 This is painted in acrylics, and I have done most of it by scumbling. If left to my own devices I often do a moody picture! 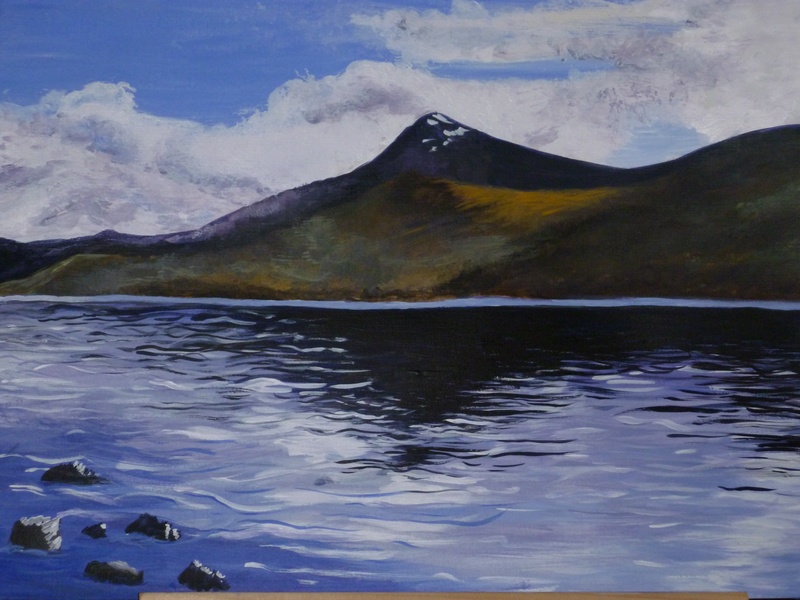 I painted this while on holiday in Scotland…the friends and me husband were all fishing, and this kept me busy. Done in acrylics. Well….I’m not even sure I’ll get to do much on this, my new blog! 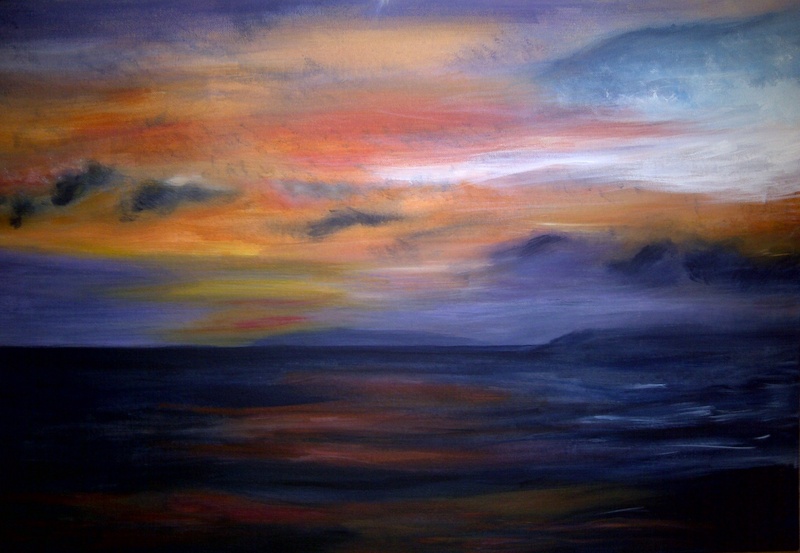 But the aim is to get my paintings out there! Whether I actually get round to it much, we’ll just have to see. All I know is, that I have started painting again ( I’ve always had an interest but never much time), and I am soooo enjoying it! I’m still trying to find my style – I seem to have a few, and maybe that’s how it will be for me; one day one style, another day another. I’m going to put some of my work on here that I’ve done over the years. I work in acrylics, and at the moment I am enjoying collage work as there are so many things you can do with it, and not to mention the ‘happy accidents’ that happen along the way!! I also love oil pastels (and Sennelier) really are the best; they are so easy to transport around to my art group / on holiday etc. so, folks, here’s some I did earlier! 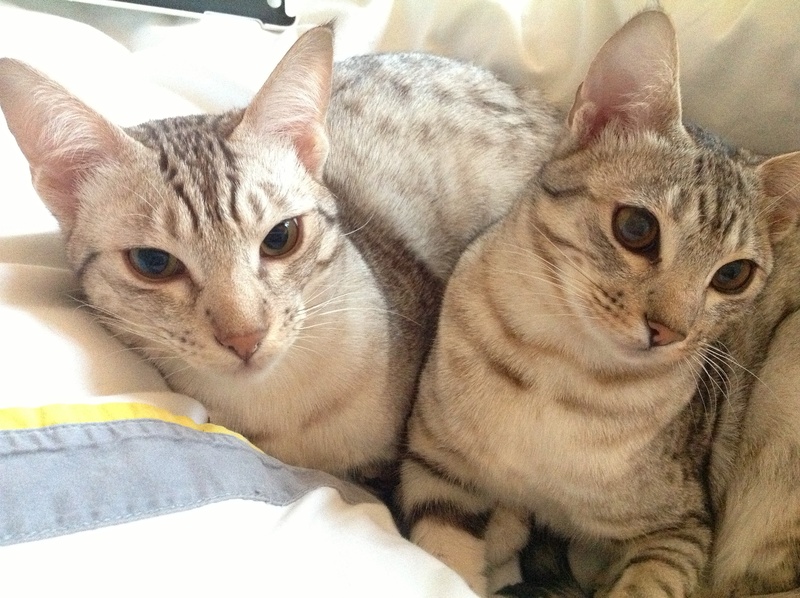 First of all – meet the cats – both Ocicats, Tonto on the left, and Yoyo on the right. They are always around and busying themselves while I paint…..walking across my canvas; flicking paint brushes on the floor….generally not helping!